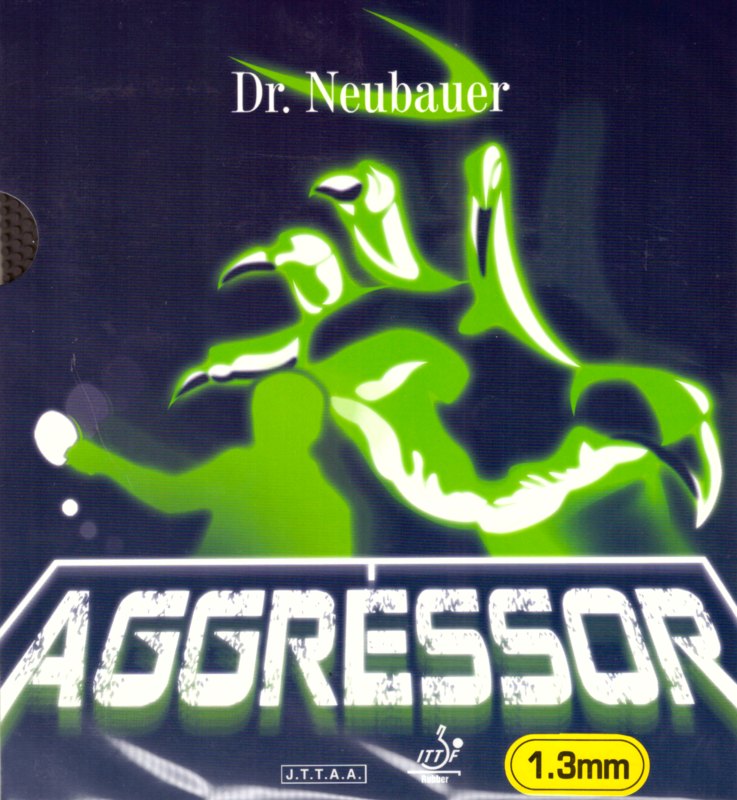 I've tried Aggressor in 1.3, 1.5, and 1.8. For me 1.3/1.5 were the best. I found those two sponge thicknesses the most disruptive for opponents. Compared to K.O. Pro, it could do everything very similar (hitting, counterhitting, blocking aggressively, chopping, pushing) besides blocking passively. 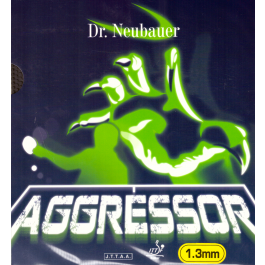 It's even mentioned in the description that Aggressor is better for active blocking rather than passive, I find that very true! You start to lose control while blocking passively. This is why I am going back to using the K.O. Pro. I feel it can do everything Aggressor does with being able to block passively and has a little bit more control while using. I know that this rubber is known for blocking close on the table, but it is also a very decent chopping rubber. I think what separates it from other LPs on chopping is its combination of fast and low chopped balls. I have ordered 3 different thickness of this aggressor... you have to find the right thickness toy our liking which mine is 1.5 on my forehand...I have the other medium Chinese pips which more easy to use but the aggressor once you find the right timing of it...and you use if for flat drive the most exchanges that your opponent could make is up to three rally's and the ball will dive down to the net...I love it! Good rubber, you can push block, chop, attack and wobble effect is good. Очень хорошие средные шипы для обмана. Отличный отскок и контроль , клинок брал Butterfly Balsa Carbo X5. Довольно интересная резина.Как для средних шипов очень быстрая .Разрушения атак после топспинов на среднем уровне,чтобы добитса желаеомово результата надо сильно пилить.Зато хороша в атаке и в приёме подач.Данная резина стоит на быстром основании(xioma diva off-) оттуда возможно и проблемы в защите. This rubber is a little different for playing if you are using it like long pips. The pips are thicker and harder so passive shots can return all the incoming spin. The attack on the rubber has a downing effect to the opponent making attacks very difficult to return. Chops can be heavy but will require good touch and timing to bend the thick pips. This rubber is also faster than other pips that are long and the extra pace will give the opponents a difficult time. Overall I really like this rubber but it is different from many other long pips which forces me to remember the stroke must be adjusted. As a result I made many mistakes in the game. Right now I do not have time to play with it enough to adjust, but I feel like this rubber when controlled is a good weapon.